Replacement belts for Kawasaki Vulcan 500. These replacement belts are NOT for Scootworks Belt Drive Systems. They are for the belt drives that were actually supplied by Kawasaki on these motorcycles from the factory (- '96). 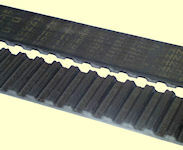 Include the number of teeth and width of your original belt in the comments section of the order. Belt sizes can vary with year model and country of origin! 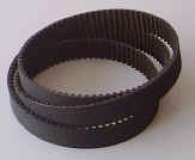 Replacement belts for Kawasaki Vulcan 2000 factory belt drives. This belt replaces Kawasaki OEM 59011-0004 and fits all Vulcan 2000! It meets or exceeds all OEM specs.